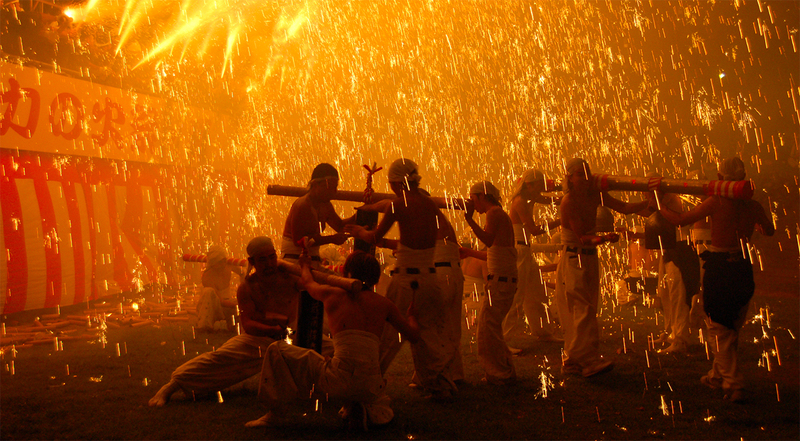 The year starts on January 1st, celebrated with family and symbolic food. 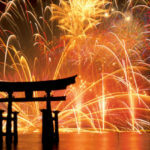 At midnight on December 31st, people gather at temples to ring out the old year on giant bronze bells; and the trains run all night, allowing a first visit to a Shinto Shrine – often in kimono – to pray for luck and success in the New Year. 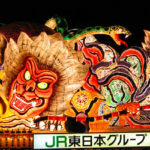 Into Japan Specialist Tours would be happy to plan your New Year’s holiday to Japan for you. 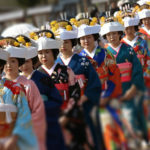 Spring is Japan’s best known season, with the cherry blossom, or sakura, front moving up the country like a pink tide. 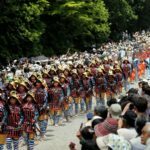 The blossoms generally reach their peak in Kyoto and Tokyo in the last week of March, and higher altitudes and latitudes follow gradually, with the blossoms reaching the northern island of Hokkaido in the beginning of May. 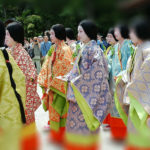 Sakura season is generally celebrated with rowdy alcoholic picnics beneath the flowering cherries, kimono-ed tea parties, and the spring Geisha Dances in Kyoto. 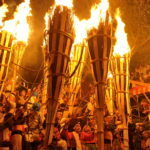 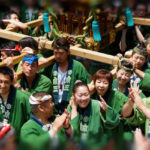 Visitors to Kyoto in May can enjoy the famous Aoi festival, which features a long procession of revellers, wearing stunning period costume, making their way through the streets along the Kamo River. 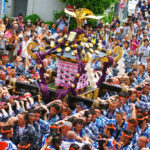 The Aoi festival is named after the aoi, or hollyhocks, which are used to decorate the festival floats. 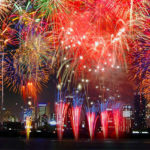 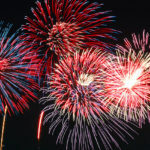 Summer brings hot days and nights filled with fireworks. 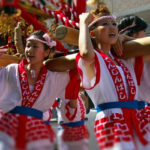 The summer Obon festival is celebrated with evening Bon-Odori dancing, and neighbourhoods are filled with paper lanterns, yukata-clad dancers, and the deep beat of the taiko drums. 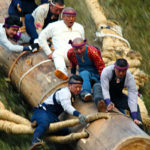 As the seasons turn to fall, the air cools and fruits ripen in the mountain orchards. 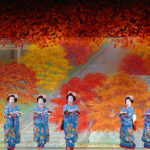 On the hillsides and in gardens the leaves begin to change color, and people go “hunting autumn leaves” with their cameras, and picnic under the trees. 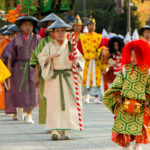 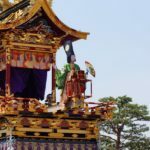 October brings Kyoto’s Jidai festival parade, and November, the national Shichi-go-san festival in which children aged three, five and seven dress in bright kimono and visit local temples in an ancient and picturesque tradition. 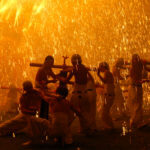 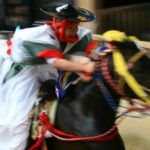 There are many other festivals throughout the year and across the land. 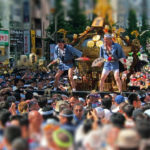 Talk to us about whether it’s possible to include a visit to a festival as part of your trip to Japan! 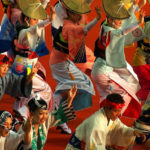 See below for a selection of festivals in Japan.